U. SHEFFIELD (UK) — High temperatures and low rainfall brought on by climate change affect the survival of elephants working in timber camps in Myanmar and double the risk of death to the calves. Elephants are particularly vulnerable to heat stress because of their large size and because they don’t sweat like humans or pant like dogs to cool down. With climate change models predicting higher temperatures and months without rainfall, researchers say this could decrease the populations of already endangered Asian elephants. For a study published in the journal Ecology, scientists matched monthly climate records with data on birth and deaths, to track how climate variation affects the chances of elephant survival. It is hoped the research will make a difference by highlighting the importance of protecting vulnerable calves in captivity from the effects of climate change. Researchers accessed unique recordings of the life and deaths of more than 8,000 elephants from Myanmar spanning three generations throughout almost a century. 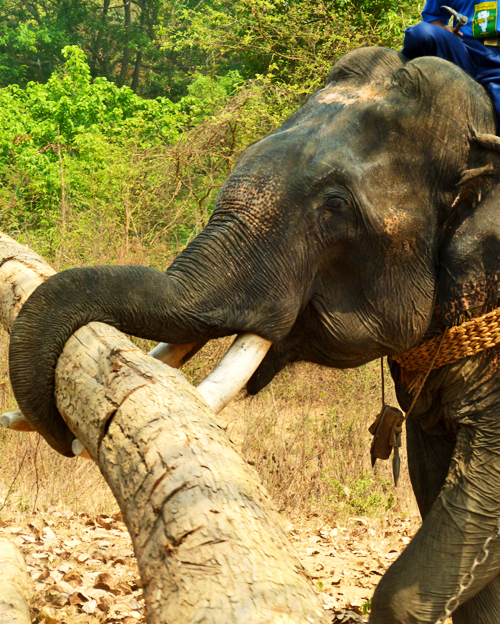 The elephants in the database are semi-captive animals that work in the timber industry by pushing and dragging logs. “Our results show that the optimal conditions for elephant survival correspond to high rainfall and a moderate temperature of 23ºC, but that further from those optimal conditions, elephant survival was lower,” says lead author Hannah Mumby, a PhD student at the University of Sheffield. Increases in deaths from heat stroke and infectious diseases accounted for the larger number of deaths during the hot months. “These results could have important implications for Asian elephant populations both in western zoos, where they may experience unfamiliar climate,” says Mumby, “and in range countries where climate may be changing faster than elephants can adapt to it. The project is funded by the Natural Environment Research Council (NERC) and was carried out at the University of Sheffield, Wissenschaftskolleg zu Berlin, and the Leibniz Institute for Zoo and Wildlife Research in Germany.